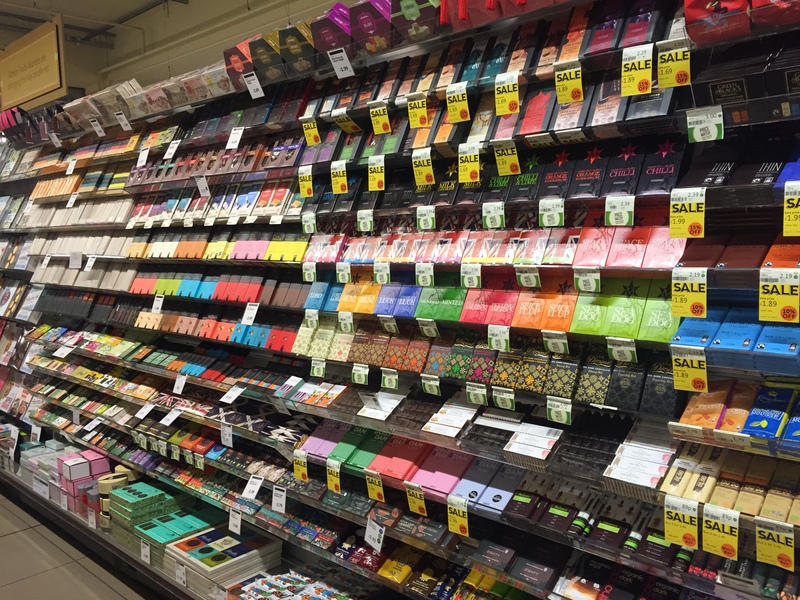 Whole Foods Market – The Best and Healthiest Grocery Store! 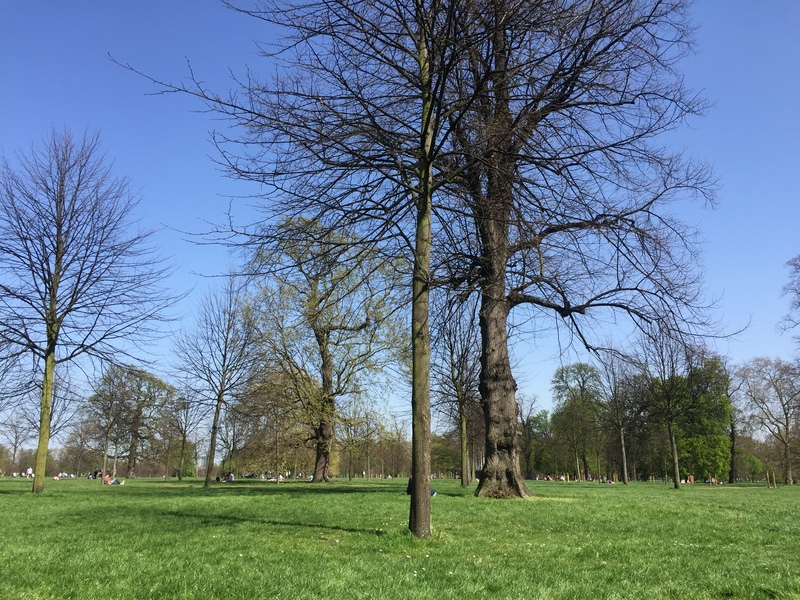 In the week that temperatures hit an all time high here in London, I thought what better way to spend my time than having a picnic in Hyde Park. And no outing would be complete without visiting Whole Foods Market. There aren’t that many stores here in the UK although in London we are blessed with having six. My favourite and I believe the biggest is based in Kensington, right by the park. 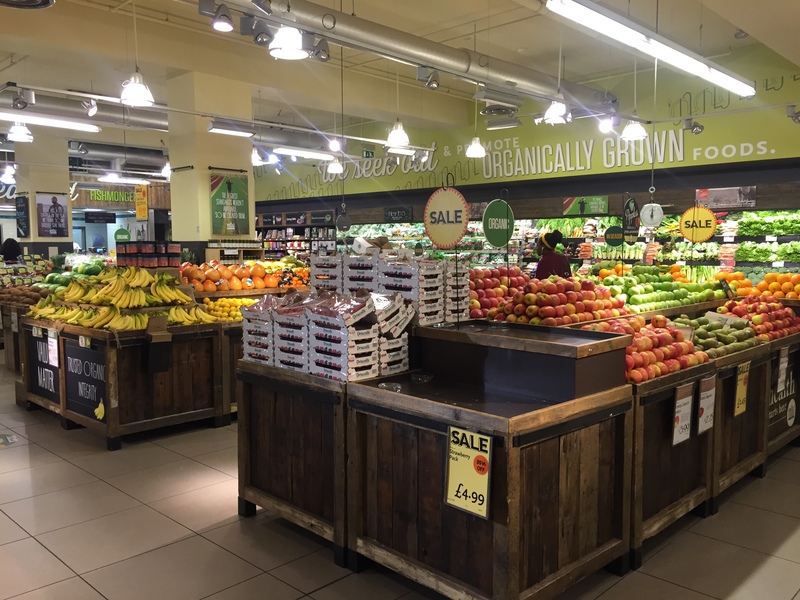 This American grocery store is filled with super healthy and organic products. They also have a large beauty/cosmetics department which stocks natural brands such as Weleda. I could literally spend hours browsing and always seem to spend a fortune! When you walk in the first department that you come to is the bakery. 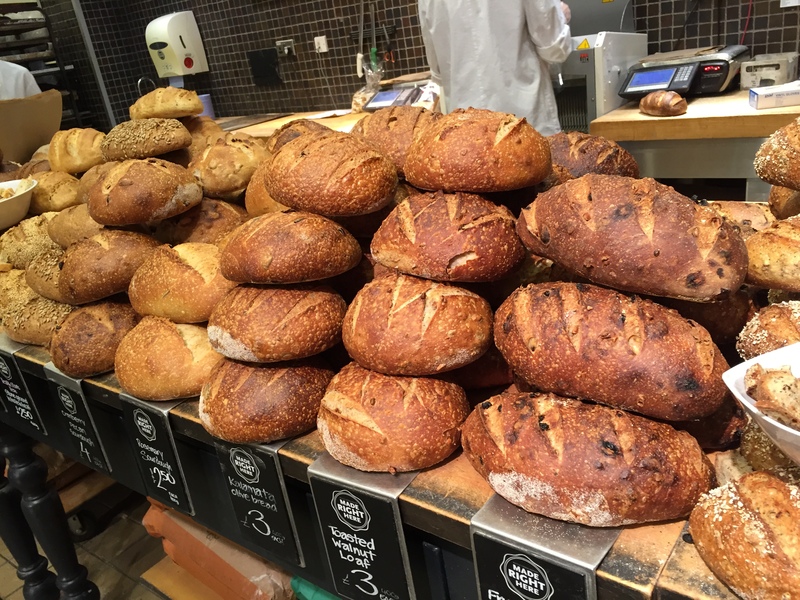 Bread is baked fresh instore and they always have a wide variety such as rye, sourdough and spelt. In standard supermarkets you are very lucky if they stock one of these! 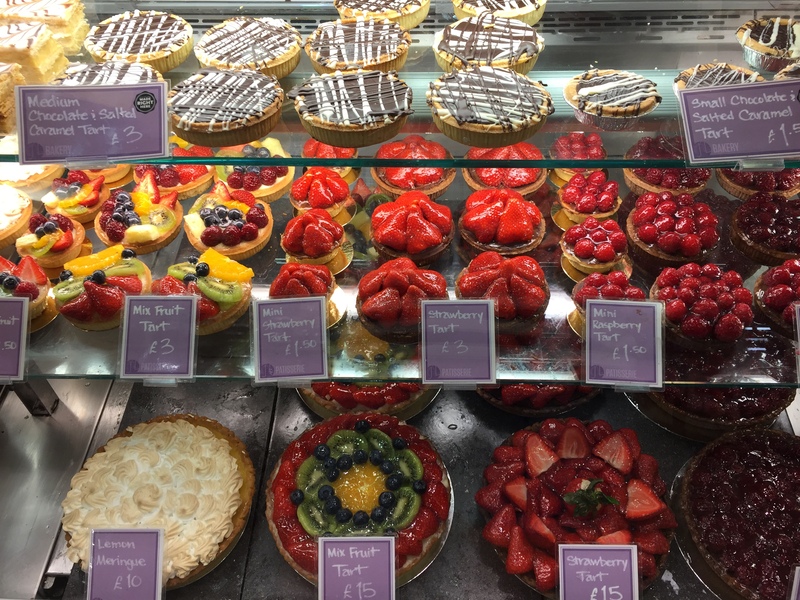 The bakery is filled with the most extravagant fruit and cream cakes, some of which look to be works of art along with the healthy style cupcakes (they contain minimal sugar). The fresh fruit and vegetables look as if they have been polished as they are so shiny and appealing. There is a wide selection of gluten free products which in comparison to the standard grocery store is huge! 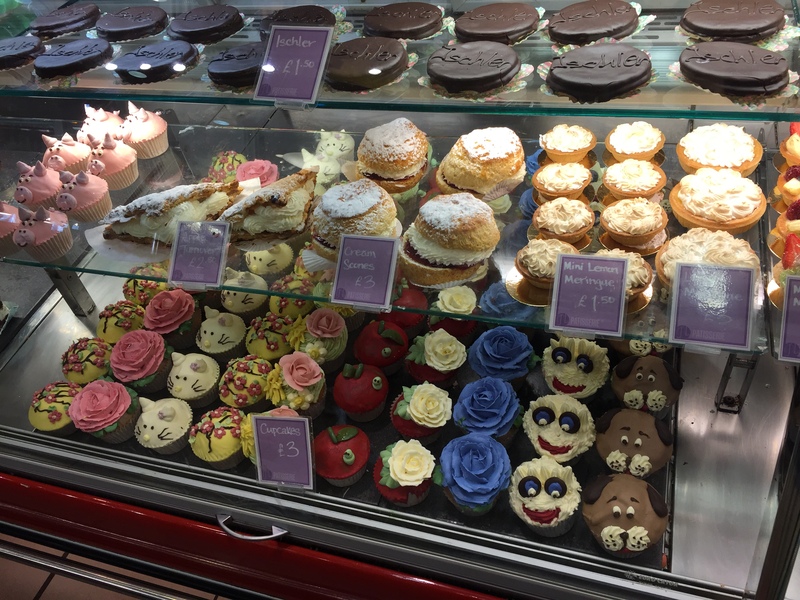 Each counter’s display of food looks delicious and filled with high quality products. I like that there are always various samples to try and even whilst queuing I was offered to sample Prosecco! Not going to say no to that! With a big focus on recycling and being good to the environment, you can take your own container to fill with coffee beans, grains or cereals. Perfect if you want a size not on offer. 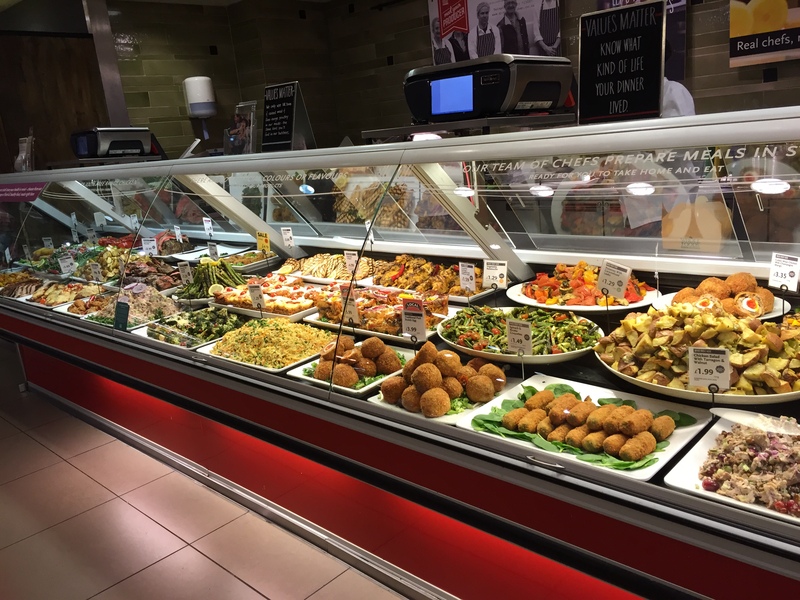 And of course there is the salad bar featuring hot meals such as spaghetti, soups and baked potatoes, and cold salad items such as cous cous, leaves, grains and quinoa. 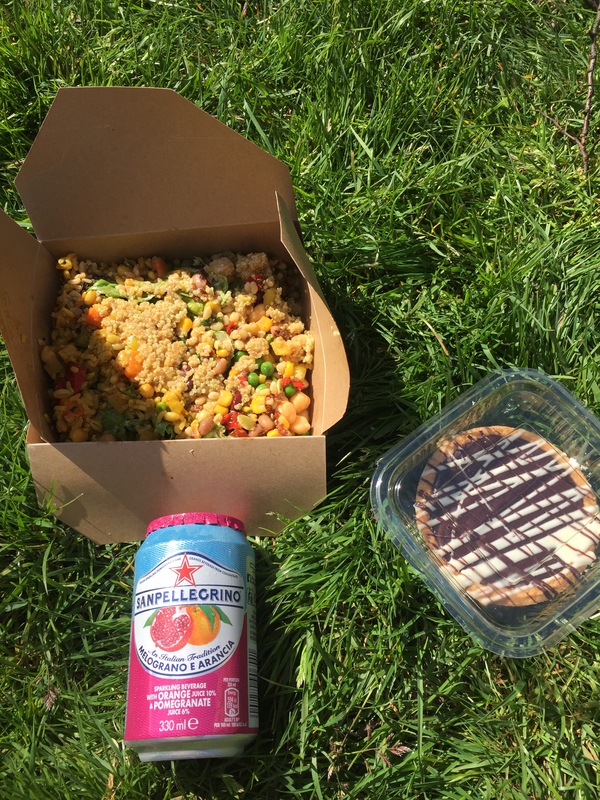 I purchased a pick n mix salad, a limited edition Innocent Smoothie containing beetroot, banana and mango, some overly delicious chocolate cookies which were like macaroons with a chocolate mousse filling, San Pellegrino Orange and Pomegrante juice, rye and sourdough breads and a salted caramel millionaires shortbread tort (which sadly melted in the sun). 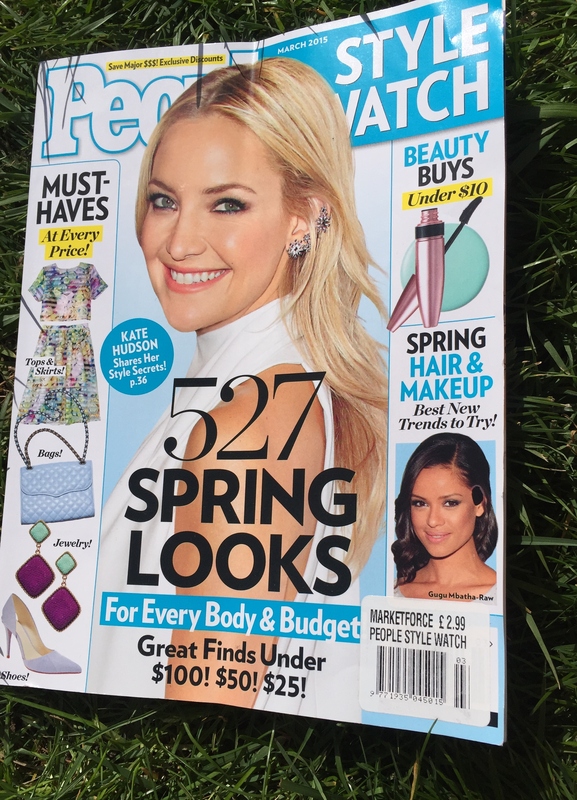 I teamed all that up with a copy of US magazine “People”. What a perfect day I had! Here are some photos of around the store and my purchases. If you haven’t been to a Whole Foods Market and you live close by, I would highly recommend visiting! You will not be disappointed!